Warning: This is a very late post, nevertheless, it never hurts to share! 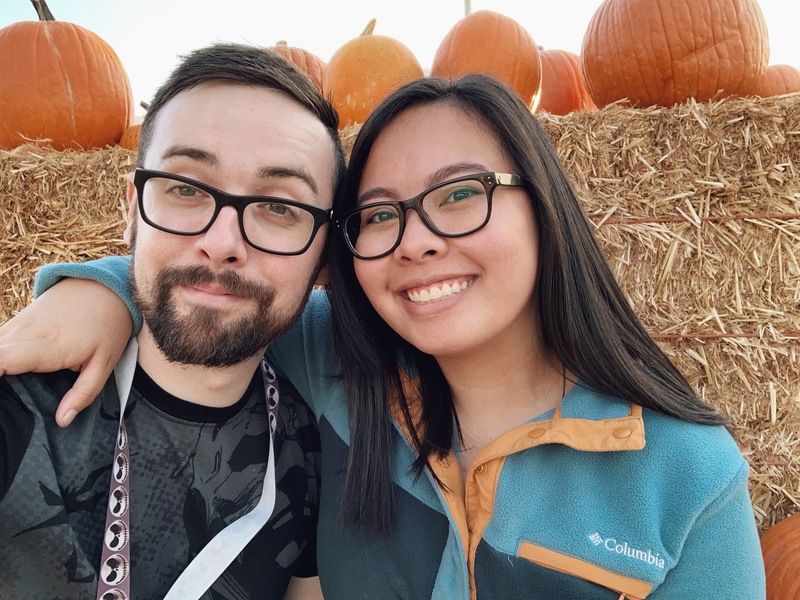 This past October, Chris and I stumbled upon Vossler’s Pumpkin Patch and Corn Maze one Friday afternoon and decided to give it a go! 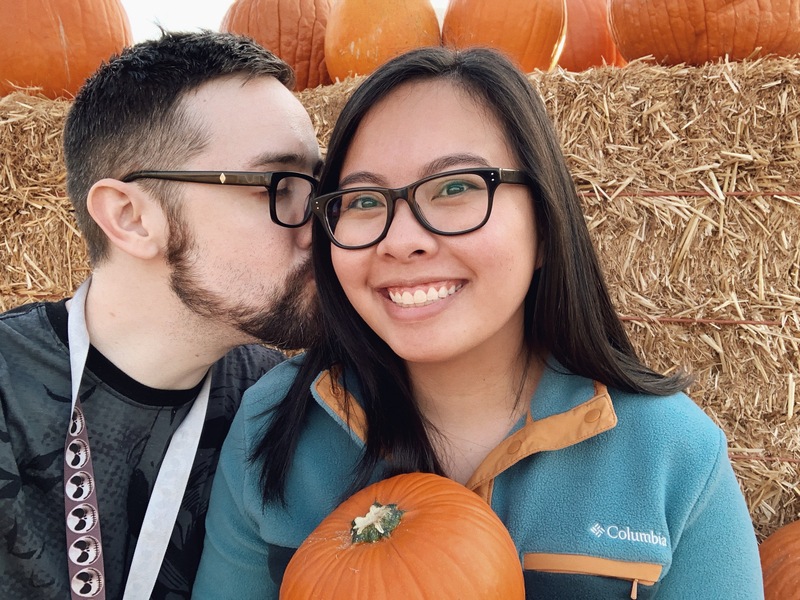 We’ve had our fair share of pumpkin patches and have slowly made it a tradition to visit a new one every year. The entrance fee to this particular patch was only a dollar per body! The pretty neat thing about this pumpkin patch is that it was surrounded with sunflowers! Sunflowers are my absolute favorite flowers so it was nice to see them during this time of year. We grabbed a few photos around the place. 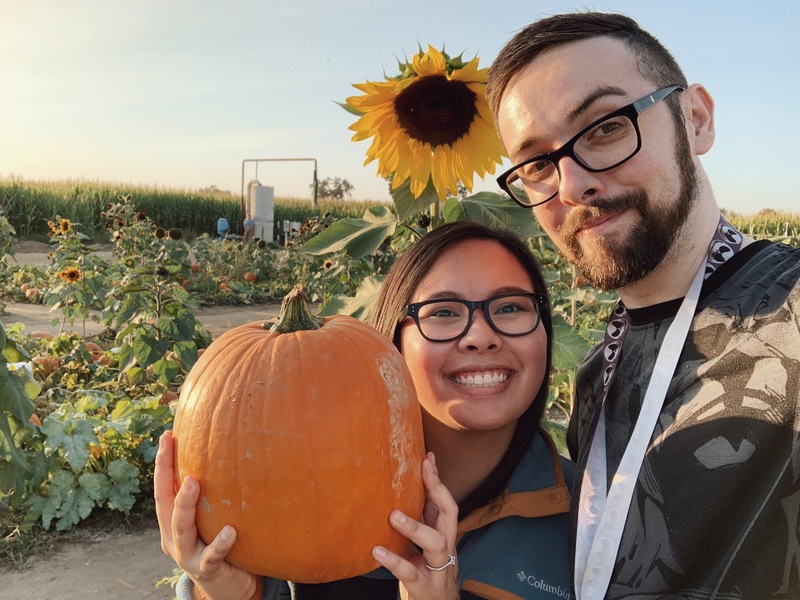 We also did the corn maze which was themed “Howling Wolf” – it’s a HUGE maze and every weekend, they do a haunted maze. Unfortunately, we didn’t stick around for the scares. We made our way through, trying our best to find the hidden spots for the raffle but we only found three out of fifteen. When we left, we grabbed dinner at Good Times Cafe. We had been meaning to try that small town mom and pop shop since the year started and finally got to it in October. Their food was good and their service was even better! Until the next pumpkin patch and corn maze! Cute pictures! That’s neat that it’s surrounded by sunflowers too. Oh I miss autumn after reading this post! 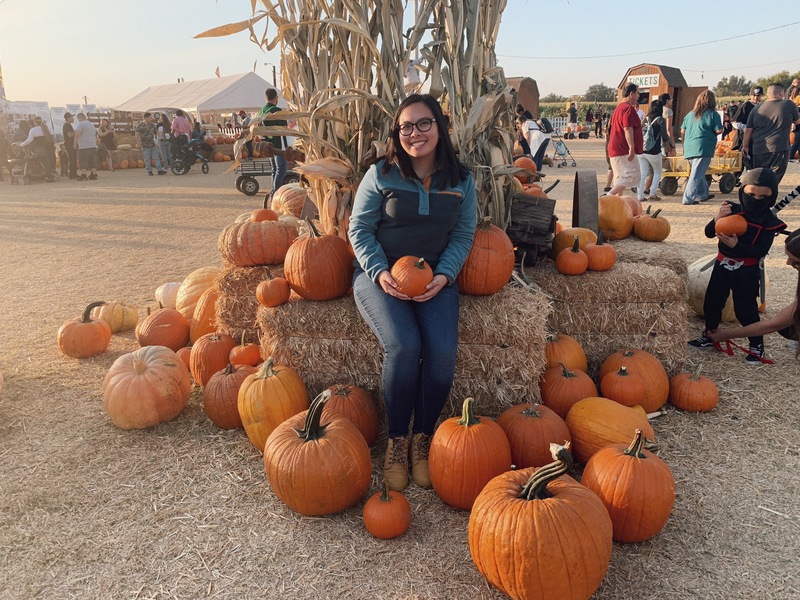 I love pictures with pumpkins and sunflowers! They make sure good props! Wishing fall was back with all this snow we’ve been getting! The sunflowers are a nice addition. I’ll have to go to a pumpkin patch next year. Haha, very nice post! Oh wow, those sunflowers are so pretty! I’ve always wanted to visit a pumpkin patch! That haunted maze sounds like so much fun. I recently did my first ever haunted house and it was the craziest thing ever but I loved it all the same! I’ve never been to a pumpkin patch and corn maze, this is one thing I’d like to do next fall. 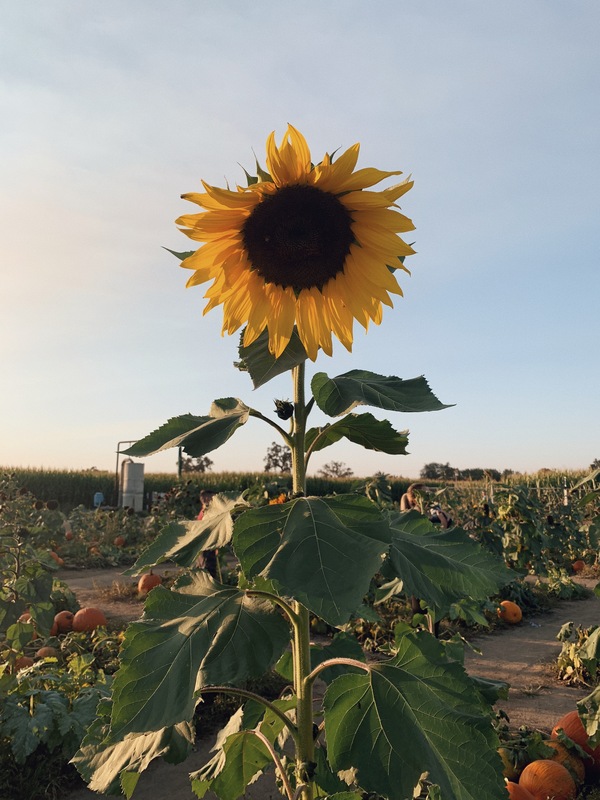 Love the sunflower photo! Sunflowers are one of my fave flowers too, The haunted maze sounds interesting, By the way, you guys look so cute together. Glad you both had a great time! These are such lovely and nice shots. I wish I had done the pumpkin picking thing last year. Thank you for sharing this – it’s gone on my 2019 bucket list! I have no idea what a pumpkin patch is hahaha. I love how they’re sunflowers around. They’re also one of my favorite flowers. They’re just so lively! Your pictures are absolutely stunning! I’ve always wanted to go to a pumpkin patch so badly.